PDFMate PDF Converter Free is a free and accurate PDF converter. This all-in-one freeware PDF converter could convert PDF to Word (*.docx), Text, EPUB eBooks, images, HTML, SWF and PDF files, or merge PDF files. 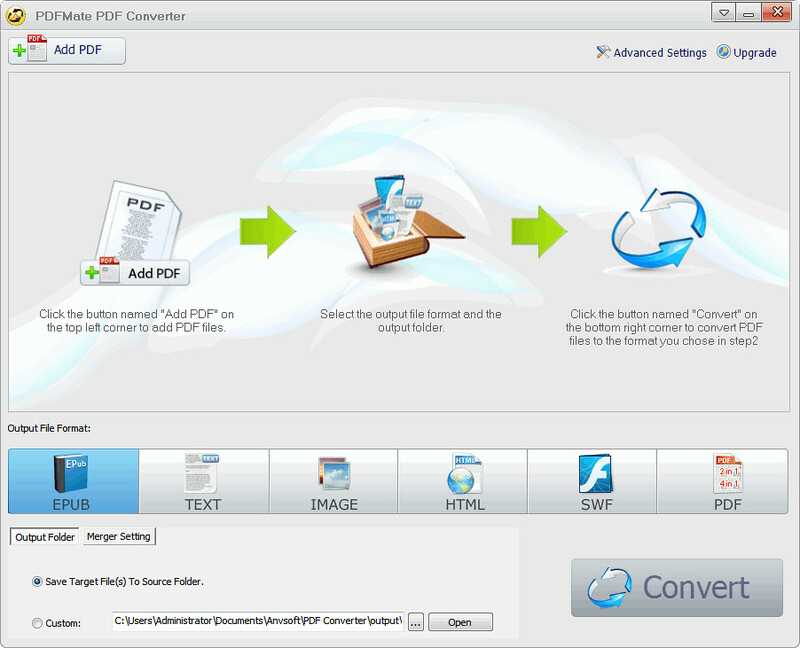 PDFMate Free PDF Converter can also extract imag from PDF file or shrink multiple PDF pages to one page. Note: Run PDFMateLitePortable.exe to launch PDFMate Free PDF Converter Portable. For more excellent PDF converter, you should try Wondershare PDF Converter, Free PDF to Word Converter, AnyBizSoft PDF to Word Converter, Wondershare PDF to Word, Adept PDF to Word Converter, etc. PDFMate PDF Converter Free Portable was updated to version 1.75 on 2017/3/27. What's new in PDFMate PDF Converter Free 1.75? This entry was posted in Office & PDF and tagged pdf converter, pdf extractor, pdf to doc, pdf to epub, PDF to Flash, PDF to Html, pdf to image, pdf to jpg, pdf to png, PDF to SWF, PDF to Text, pdf to word, pdf2doc, pdf2word, PDFMate, PDFMate Free PDF Converter, pdfmate portable. Bookmark the permalink.